Jack was born in Tennessee but grew up in Hampton Roads, Virginia. He joined a residential framing crew right out of high school and ran his own framing company for three years in the early 2000’s. In 2007 he worked for the first time as a superintendent on a residential project. Jack transitioned into the commercial sector after his experience building homes and landed at Emerald in early 2017. 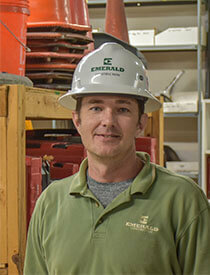 He has continued his superintendent career at Emerald bringing his organization and an eye for detail to renovation projects. In his free time Jack enjoys playing golf and watching various sporting events. He also enjoys unwinding in front of the TV playing video games.